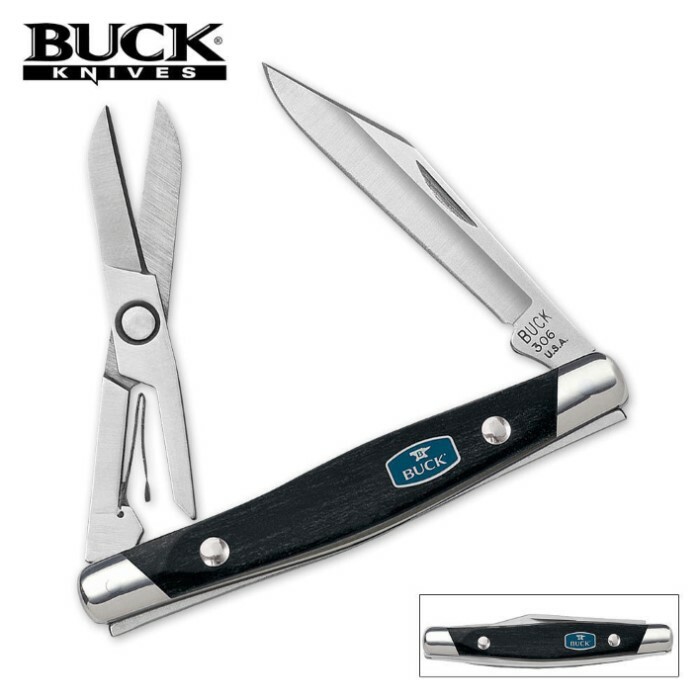 Buck Duet Charcoal Dymondwood Pocket Knife | BUDK.com - Knives & Swords At The Lowest Prices! - 420HC stainless steel clip blade and spring loaded scissors. - Charcoal Dymondwood handle. - Nickel silver bolsters. - 2 5/8" closed.